non-glossy junk mail, flyers, etc. 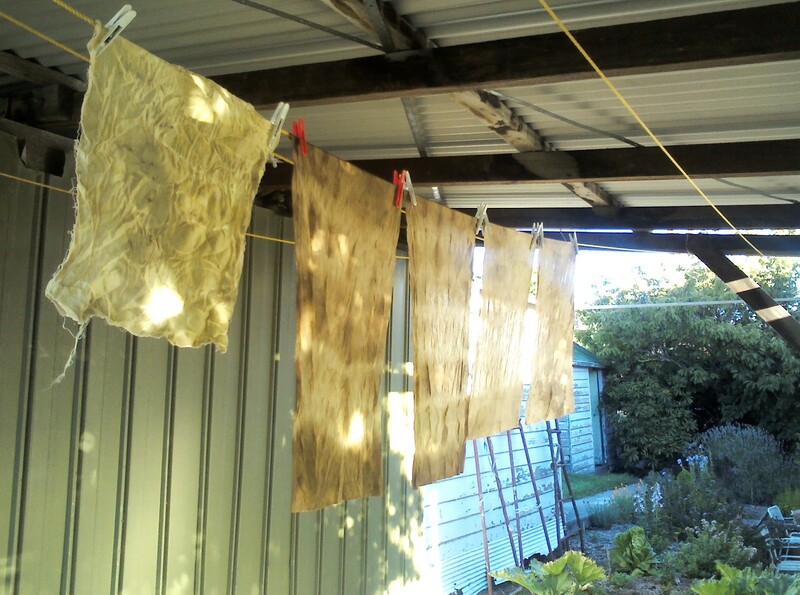 Is rust dye effective on synthetic fabric? Someone just donated some polyester scarves to my facility and I thought it might be a good project to use with our children’s camp. Rusting is great fun with exciting results. Thanks for all your tips. My problem is how to stitch rusted fabric. Fibres bind together with the process making it difficult to push hand sewing needle or machine needle through.